Yes, there’s a myth-busting world to be had in the decking industry; there are a lot of misconceptions that can warp someone’s view of what it’s really like to get decking installed. Yes, there’s a myth-busting world to be had in the decking industry; there are a lot of misconceptions that can warp someone’s view of what it’s really like to get decking installed, and it’s our goal to correct them. You may be overwhelmed with all of your options and your potential materials, but wooden decks have the most myths surrounding them. Hesitant to install your deck because of rumors? Read on to dismantle them. Myth #1: Wooden decks ruin forests. Wood is actually very sustainable, so the material doesn’t go to waste like vinyl does. Not to mention, the wood that is farmed for lumber is contained to certain forests that are grown specifically for this purpose. There are actually far more evergreen trees growing in North America than there were 100 years ago, because of the tree farming industry. And when it’s time for the deck to be removed, wood is fully biodegradable, and can even improve the environment. Myth #2: Wood requires too much maintenance. You’ll definitely need to take some care of your wooden deck, but this usually just includes general cleaning and relatively regular finishing. Beyond ensuring there’s no mold growing on your wood, taking care of your wooden deck doesn’t take any specific kind of care that you need to go out of your way to do. 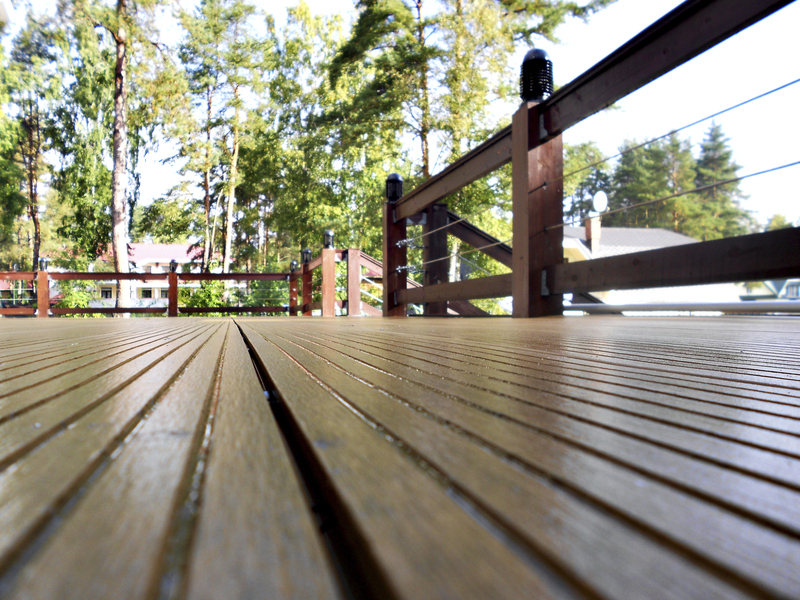 There’s no outstanding extra cost for cleaning your deck; in fact, it can be done with a bleach and water mixture. Myth #3: Decking is too expensive. With so many different decking materials to choose from, this is quite the general statement to make. 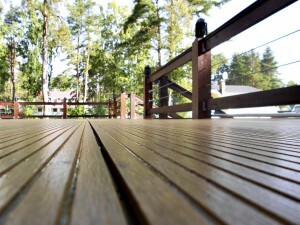 Red cedar, for example, is one of the most low-cost material used in decking. MAD Fence offers several different types of wood for your deck, as well as composite deck material, in case you still don’t trust the durability and usefulness of wood. Get your new deck installed today with Mid-Atlantic Deck & Fence!